War is ugly, but this game is beautiful. War is often glorified when it comes to the world of modern video games, but never explicitly detailed as an abhorrent, turbulent time for everyone involved. It's cool to suit up and go oscar mike to your next rally point, guns blazing in a future wasteland, but slowing down every so often to consider the repercussions of your actions or the landscape you're exploring is always a good idea. 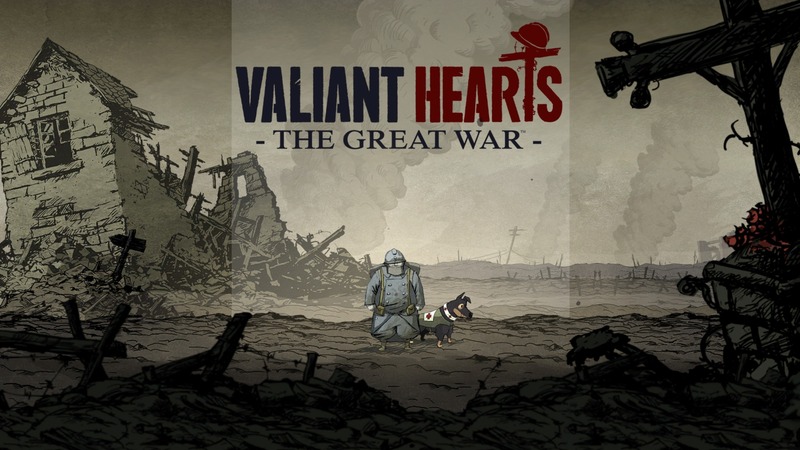 Valiant Hearts: The Great War is one of the most refreshing games you'll play all year, especially on the landscape of an iPhone or mobile device. This journey through World War I is simultaneously touching and disturbing, recounting a story that could only have been told by way of a video game. Ubisoft Montpelier's excellent 2-D puzzle adventure is exemplary of what can be done when subject matter is simultaneously respected and given a treatment that doesn't assume players are only out for blood or redemption through violence. Valiant Hearts takes place between September 1914â²s Battle of Marne and ends up in April 1917, as the United States becomes involved with more of the fighting. While it wavers between lighthearted to disheartening, it spans 24 levels that find players interacting with 2D characters and hand-drawn environments, switching between different protagonists here and there. The focus is on learning about and appreciating those who gave their lives and livelihoods to fight for the cause in this war, and that shines through in a big way. While sometimes the game can bog down a bit during quieter segments, you also have time to reflect on those who sacrificed themselves so that, eventually, we'd even be able to play this game and write about it today. Valiant Hearts: The Great War is more simplistic than you might have surmised originally, and many of the "puzzles" themselves are actually not very difficult. In fact, you'll fly through the game pretty quickly even if you're not that seasoned with these types of games. So despite its gorgeous presentation and enjoyable characters/content, you may find that this game could be a bit too simplistic for you. This is a beautiful and conscious game that deserves to be played, even if to just take in its message. If you're looking for something to settle in with this Labor Day, make it this game and harbor a newfound appreciation for those who gave their lives for us to have comfortable ones.